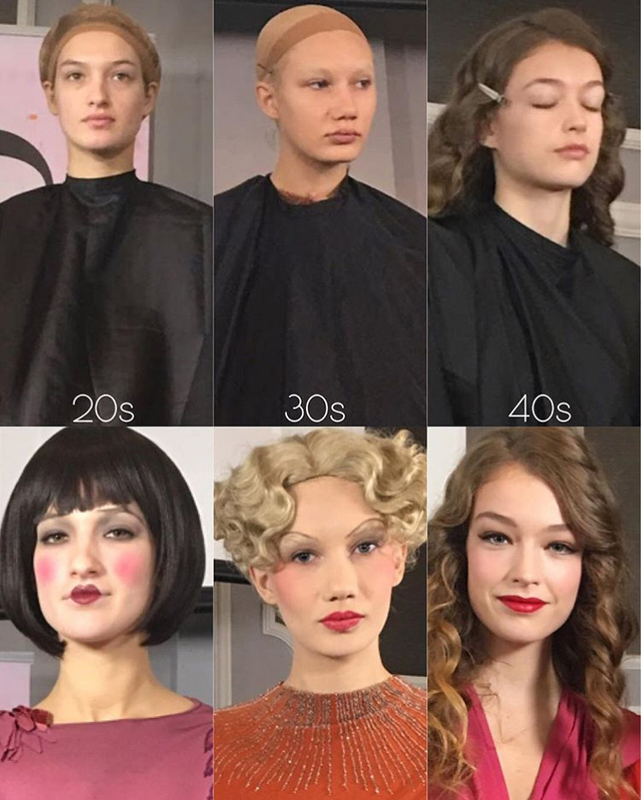 Teaching Vintage Makeup in Paris & New Videos! Hello My Vintage Loves! As usual, time has raced by and I haven’t been good at all about updating the blog! 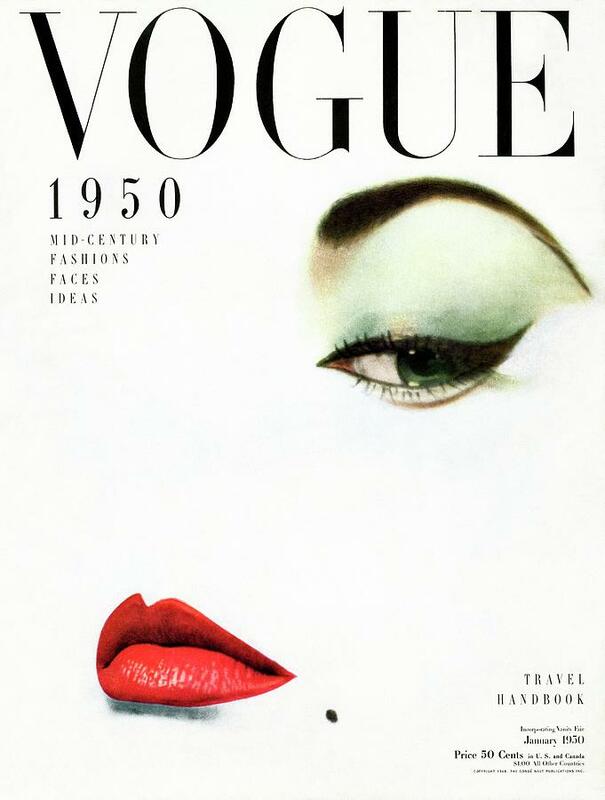 (Updates do happen much more frequently on Instagram @myvintageloveblog). The big news is that I’ll be teaching a vintage makeup class that will cover the 20’s & 30’s and 40’s and 50’s in Paris on October 2 & 3! I’ll be teaching with my friend and colleague Jessica Padilla. You can read more about it at and sign up at the Paris Institute website. If you’re in Paris on those days I really hope you can attend as it will be a wonderful class! 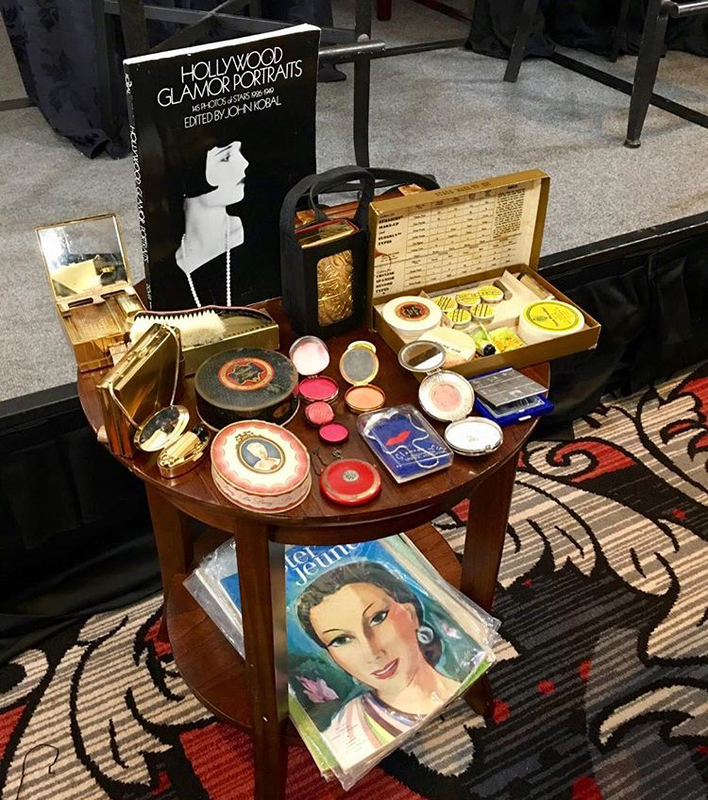 We’ll be doing full makeup demos on models, as well as talking about the history of makeup and how the makeup of those periods were influenced by societal changes and the entertainment industry. We have been busy creating lots of wonderful new videos on our YouTube channel, which you can check out here. There are videos covering the Easter Parade, a new makeup tutorial, our visit to Briar Vintage, and so many more! We’ll be posting more videos soon, of our visit to Portugal and our Summer look book, among others! Please subscribe to our channel while you’re on YouTube so you can keep up to date with all our video adventures! You can see our visit to our friend David Lochner’s wonderful store Briar Vintage below. Enjoy! Happy New Year and New Videos! Happy New Year! Time has once again flown by (doesn’t it always!) and its been far too long since my last post. We’ve had so many adventures and made quite a few fun new videos. One of our most recent videos is this lovely little piece about our visit to the beautiful vintage store Another Man’s Treasure in New Jersey. It’s one of the most gorgeous and well-curated vintage stores I’ve been to and as you’ll see if has a wonderful selection (its so hard to not buy all the pretty things!). I highly recommend visiting if you’re ever in Jersey City. I’ll be posting more videos soon, but remember that you can always see all of our videos on our YouTube channel. Happy New Year to all our friends and readers and stay tuned for more posts and videos soon! We hope 2018 brings many wonderful vintage finds and vintage adventures for everyone! In December we took an amazing ten day trip to Egypt and we are so excited to share the video of our adventures there! Come with us as we explore the Pyramids of Giza and Saqarra, the Cairo Museum, Luxor Temple, Karnak, El Kab, Philae Temple, and of course a camel ride! This is our longest video yet, but stick around to the end for a little bit of outtake silliness! Huge thanks, as always, to my darling husband for doing all the editing, which was quite an undertaking with a video over thirty minutes long! Please comment below, and if any readers are planning on visiting Egypt please feel free to ask any questions! It’s hard to believe how fast time is flying, but the Easter Parade 2016 was already a year ago! 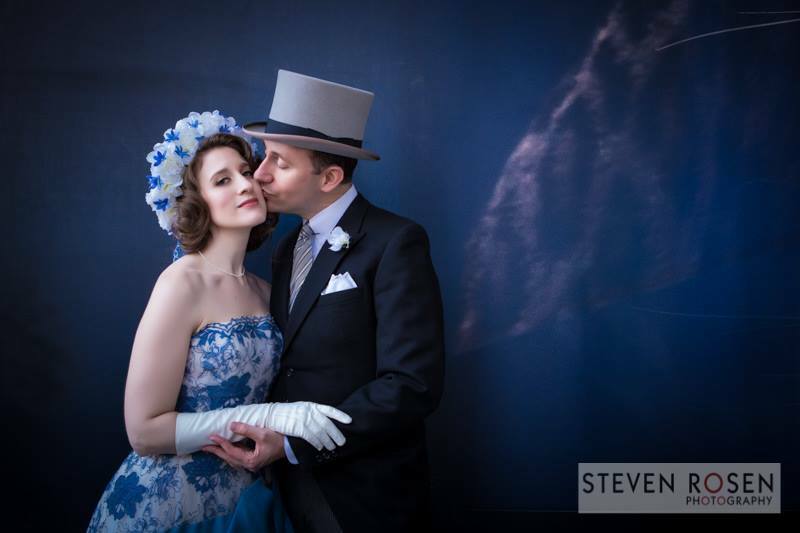 We posted our Easter Parade Video not long after the parade last year, but despite meaning to show you the lovely photos from the day I never did, so I’m sharing them with you now! We will be at Viva Las Vegas this year which falls on Easter weekend, so there won’t be any Easter Parade pictures from this year, so these will have to suffice for last year and this year! We hope you enjoy these and stay tuned for pictures from Viva Las Vegas in just a few weeks! 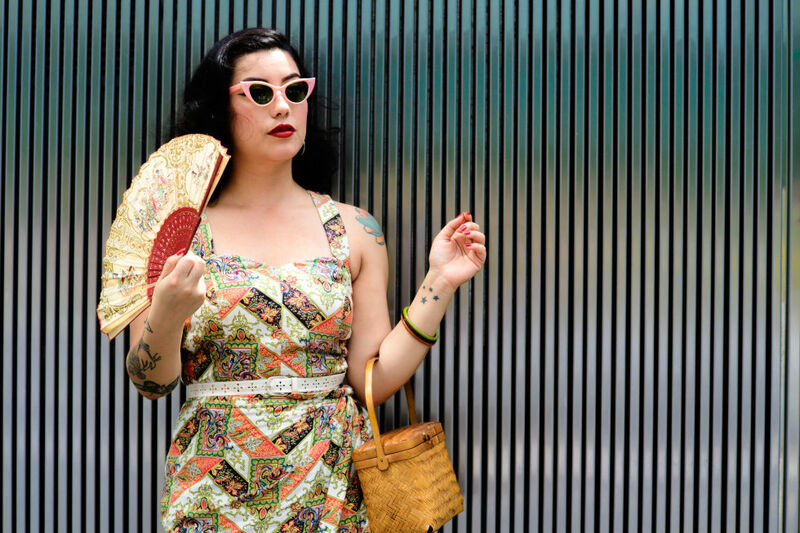 I found this dress at the Manhattan Vintage Clothing show a few years ago. The vendor told me it was once owned by a Dupont family member. It is, to date, my most expensive vintage purchase. 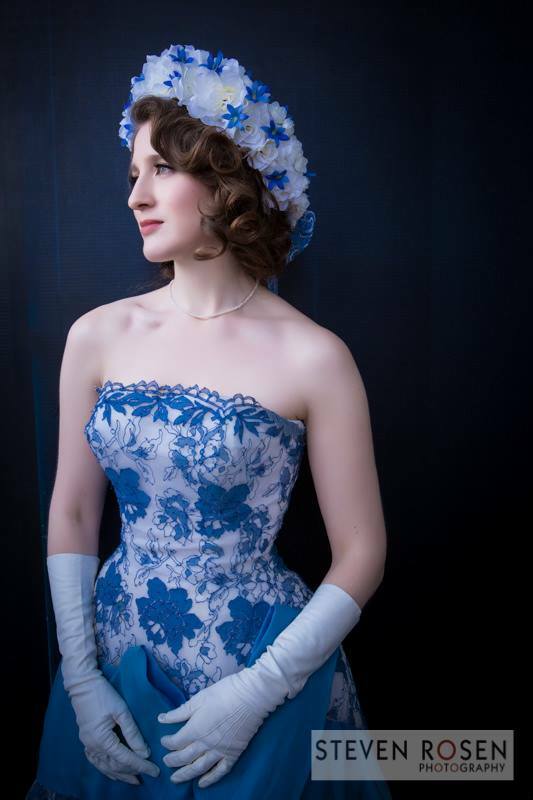 One of our spectacularly well dressed friends, Heidi Rosenau. 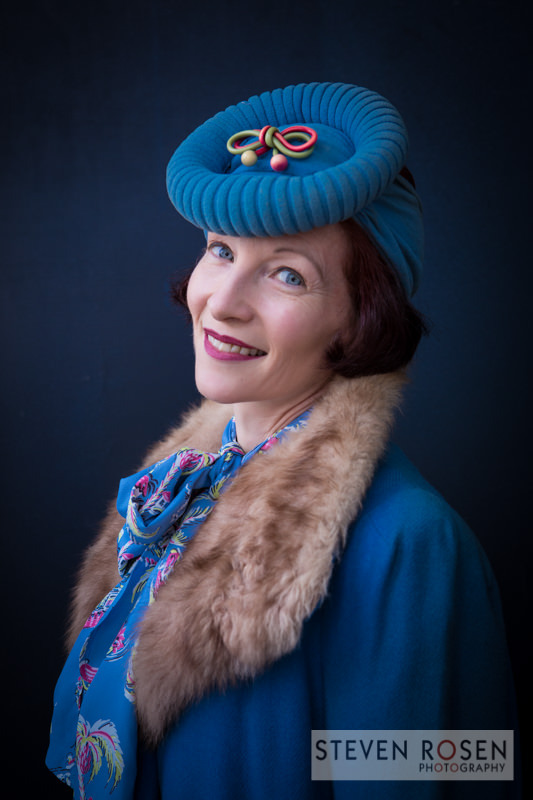 Another of our spectacularly well dressed friends, Gretchen Fenston, who is also a very talented milliner; she’s made many of the hats you’ll see in this and other posts! We apologize for our tardiness in wishing everyone Happy New Year (and Happy Holidays!) 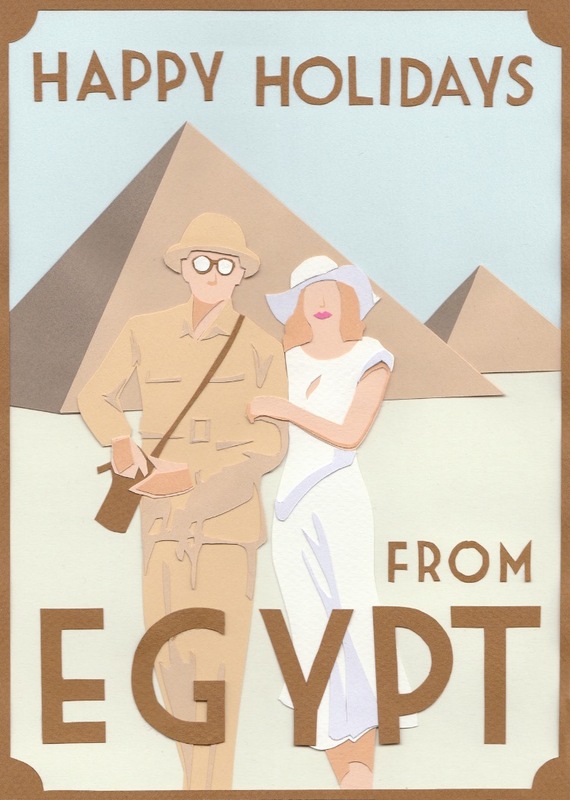 but we have been traveling, as you can see from our holiday card, to Egypt! Stay tuned for pictures and a video of our adventures there, as well as videos and pictures from other events we’ve attended as well. Please stay tuned, and if there are any topics you’d like to see covered in our videos please comment below and let us know! We look forward to bringing you more vintage goodness in 2017! We’re excited to bring you another My Vintage Love video, this one covering our trip up to the lovely Lyndhurst Castle to see the Defying Labels fashion exhibit, which covers the fashion lives of two women from the Gould family- Anna Gould and Edith Kingdon Gould. Sadly, we weren’t able to film inside the exhibit but we did our best to give you an impression of what it was like. If you would like to read more about the exhibit, the New York Times wrote a lovely piece about it which you can read here. We also visited the outside of the bowling alley that has been beautifully renovated since our last visit. They will be holding private events in the bowling alley starting next year so I hope we can bring you a video inside the bowling alley soon! We ended our trip with a visit to the lovely Rose Gardens and Conservatory. If you’re ever in upstate New York we strongly suggest checking out Lyndhurst Castle and the gorgeous grounds! We both decided to wear light colors for our outing, and I’m wearing a 30’s blouse with button details, a 30’s hat and a 40’s pencil skirt. It’s an outfit I’ve pulled together from various sources over the past year and I’m so happy that it all came together so well! 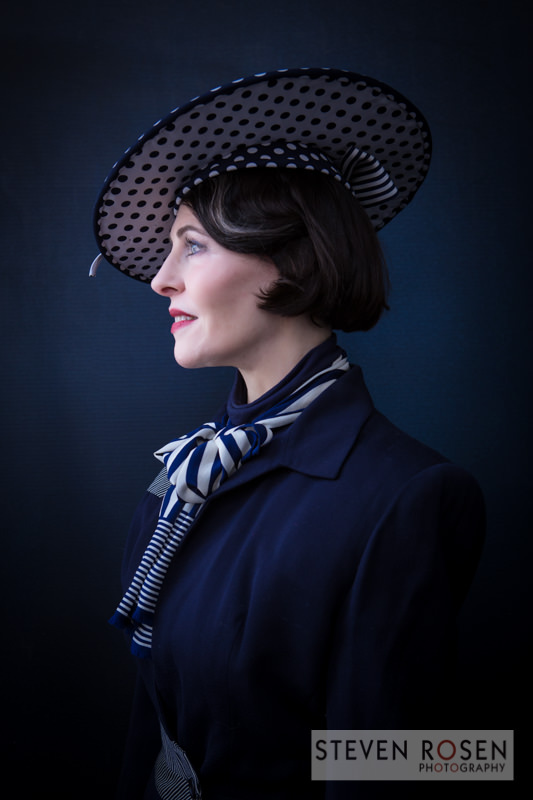 I was especially excited to wear the darling hat which I bought at the Pier show in January. We hope you enjoy this video and stay tuned for a new video about our visit to the Hershey Car Show soon! I’m excited to bring you another MyVintage Love video, this one of our lovely day at Rye Playland! See us ride the Whip, the Dragon’s Breath coaster, the Zombie Castle, the Gondola and the Carousel. The weather was perfect, the outfits lovely, and it was a nearly perfect end of summer day. I hope you enjoy watching the video as much as we enjoyed making it! Rye Playland is now closed for the season, but be sure to go for a visit when it opens next Spring! 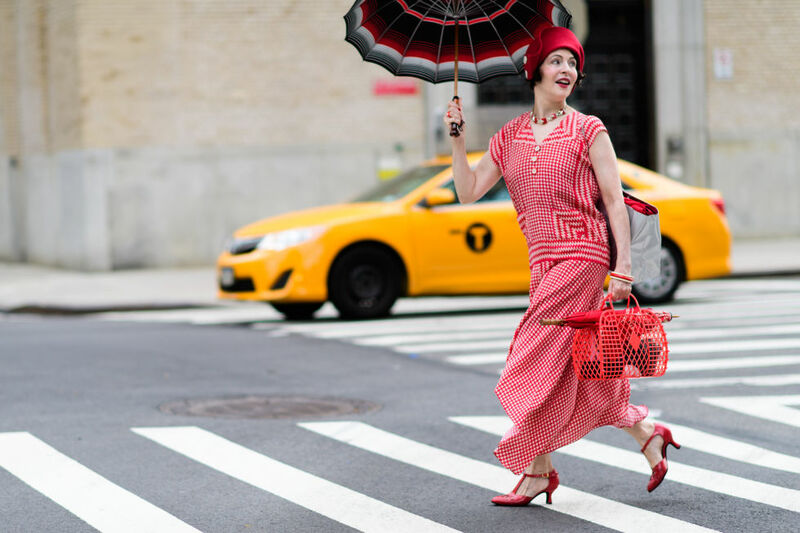 My Vintage Loves, I am so very excited to share with you this article that was published today in Harper’s Bazaar Online. 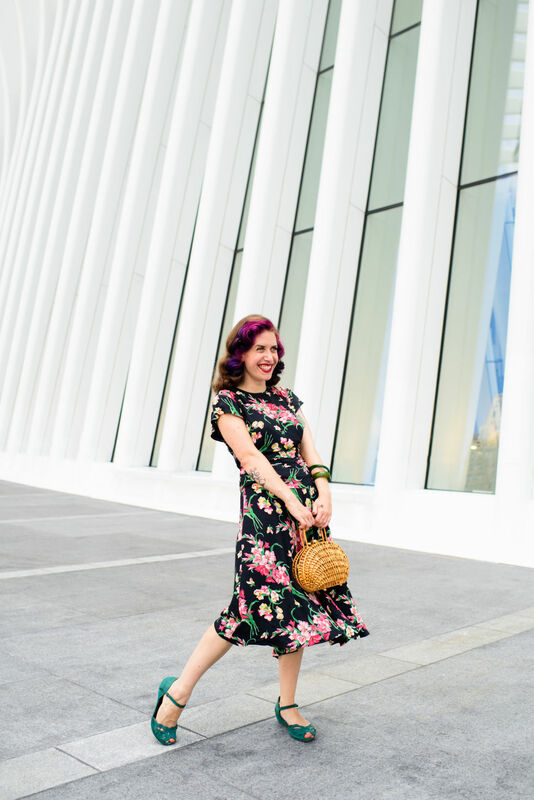 It is a comprehensive article about the New York City vintage community that was written by my wonderfully talented friend, Zoë Beery, and features photos of myself and some of my dear friends from the vintage scene, Gretchen Fenston, Vanessa Gualdron and Voon. It covers not just the dressing aspect of the scene, but also the size, race and gender politics (as well as the occasional snark) of the scene as well. 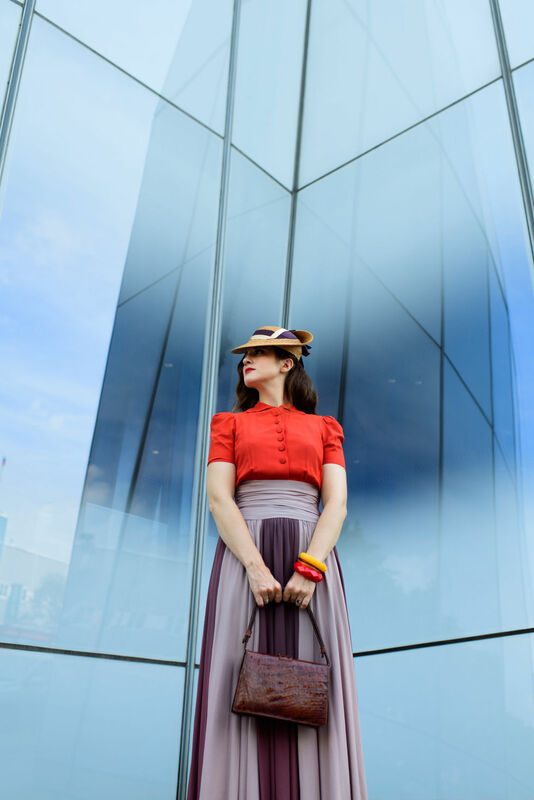 If you’ve ever wanted to know more about the vintage world in NYC this is the article that will fill you in! It’s already been shared more the 5,000 times from the Harper’s Bazaar site, so if you enjoy it, please share! Hopefully this will be the first of many articles of this size and scope about the vintage scene. 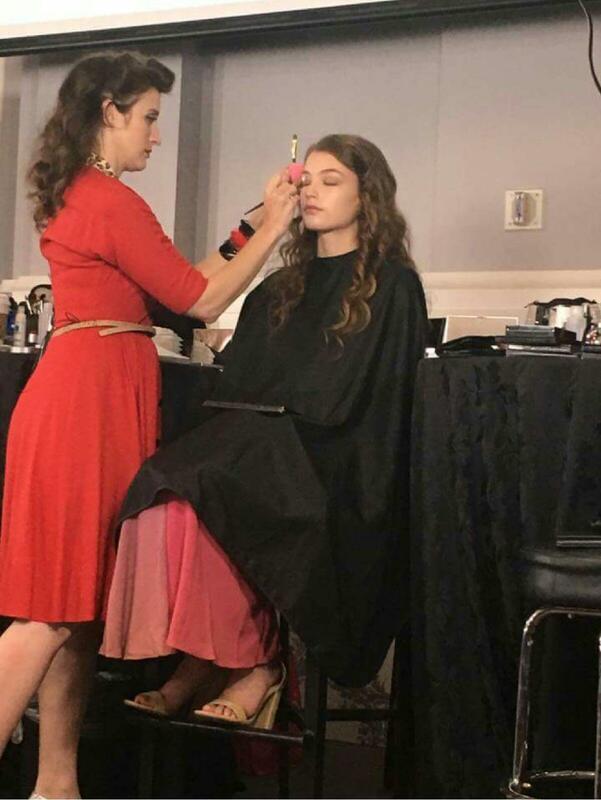 A huge thank you to Zoë and Harper’s Bazaar for having all of us be part of this story. I hope it inspires readers around the world! I’m wearing a 1940’s dress from Emily’s Vintage Visions. Beautiful photos by Tyler Joe.